Faroe Islands are an archipelago between the Norwegian Sea and the North Atlantic Ocean, approximately halfway between Norway and Iceland, 320 kilometers (200 mi) north-northwest of Great Britain.On the Faroe Islands, there are houses that seem as an abandoned Hobbit movie set, when in fact these picturesque and lush settings are ancient dwellings. Roofs in Scandinavia have probably been covered with birch bark and sod since prehistory. 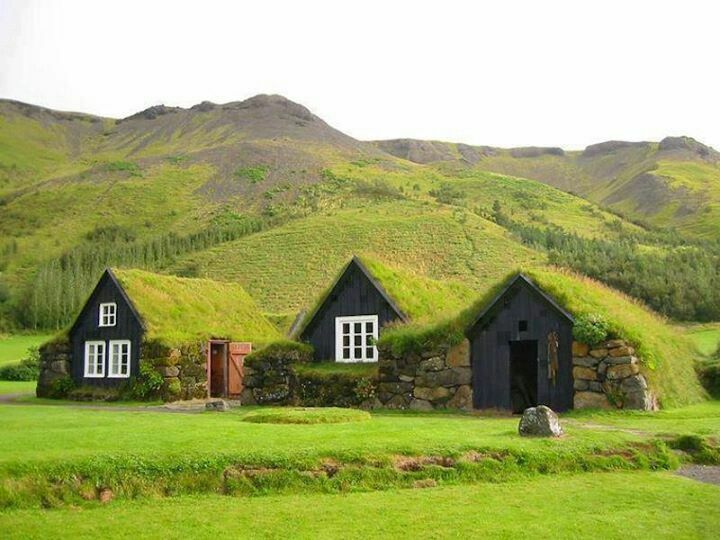 During the Viking and Middle Ages most houses had sod roofs.Churches and other buildings with steeper roofs were covered with boards, wood shingles, or lead. Sod or turf for roofing was cut from good pasture land, preferably with sandy soil. A naturally grown grass with a deep root system was desirable.The turf was cut into portable pieces, each about one foot (30 cm) square and about 3 inches (7.5 cm) thick, half the thickness of the finished covering. It was hoisted or carried up on the roof, or on a scaffolding. 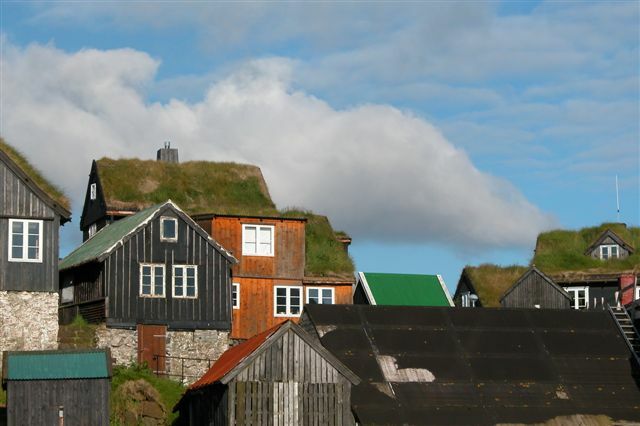 Traditional Faroese houses with turf roof in Reyni, Tórshavn. 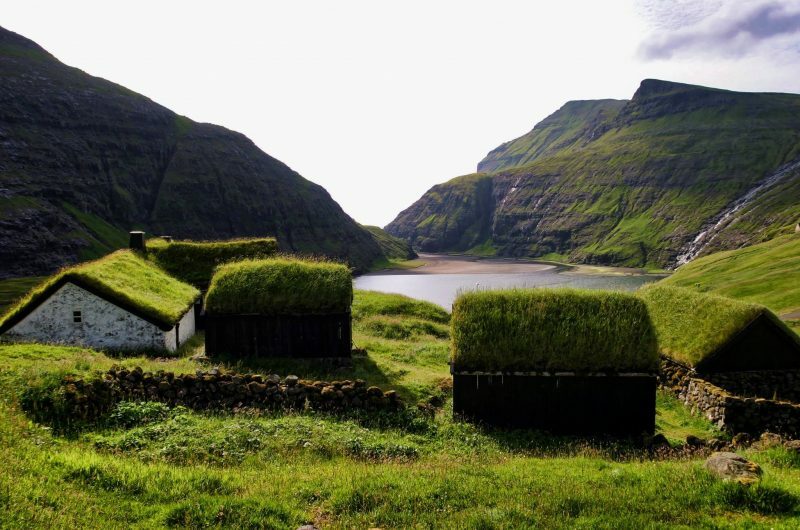 Most people build larger houses now and with other types of roofs, but the turf roof is still popular in some places. 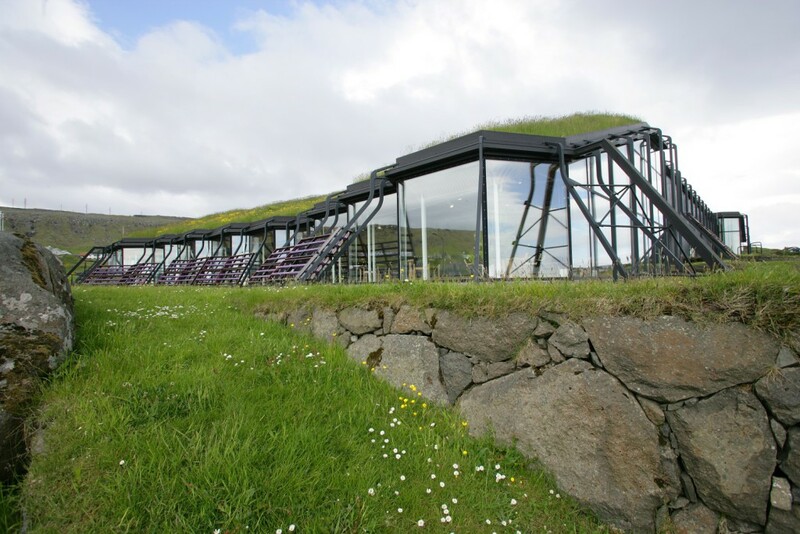 The most important cultural institution in the Faroe Islands, Nordic House, which aim is to support and promote Nordic and Faroese culture, locally and in the Nordic region is also with traditional turf roof.In concept it is green with dragon like steel struts to provide stability against the strain that the hurricane winds often place on the 2000 m² turf-covered roof. Inside the building there is a large lobby space that can house a number of simultaneous activities.